Flowers: 10-15 mm arranged in 10-30 cm compound umbels, often with small bracts below. Stem: 2 cm in diameter, hairy, hollow. Leaves: 10-40 cm wide, compound (3 leaflets) hairy beneath. 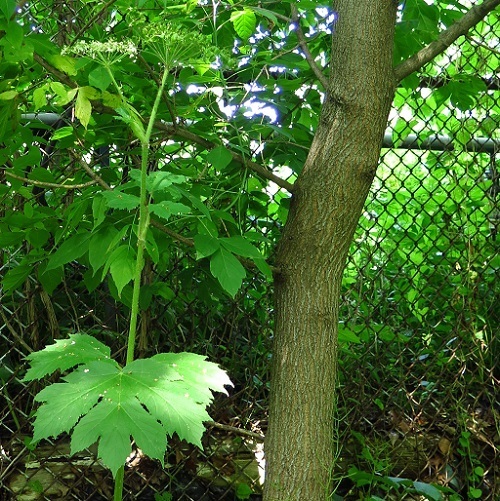 This plant produces a sap which can cause human skin to react to sunlight, resulting in burns, rashes or blisters (though not to the degree of giant hogweed.